THIS SHOW IS DEDICATED TO TOM KEMP FOR ALL HIS HARD WORK AND ENTHUSIASM OVER THE PAST 5 YEARS AND WE WISH HIM ALL THE BEST OF LUCK IN THE FUTURE! 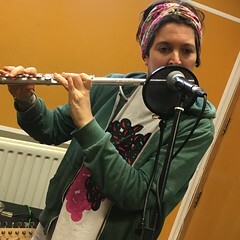 Performing live in session on the final show of the current season on Resonance FM were The Pink Diamond Revue + Glassglue. NB* The deXter Bentley Hello GoodBye Show will return to air on Resonance FM on Saturday 10th September 2016. This entry was posted in dexter bentley, hello goodbye show, Hello GoodBye: Playlists, resonance fm and tagged dexter bentley, gerry mitchell, glassglue, hello goodbye show, resonance fm, the pink diamond tevue. Bookmark the permalink.